The only bag you will need for on-the-go outings! Is it a bag? Is it a blanket? This Multifunctional Travel Blanket Bag is both! Indoor as well as outdoor activities will never be the same again with this Multifunctional Travel Blanket Bag. So easy to use, this bag easily converts in to water resistant blanket. 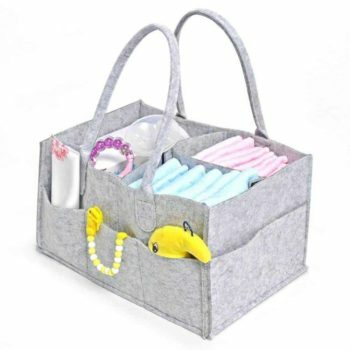 It is large enough to hold everything you need, from toys, towels, activity equipment/games or use as a comfortable picnic blanket. Super easy to clean, simply wipe it with a wet towel or machine wash.